How to make a quiet book page for an ABC quiet book. 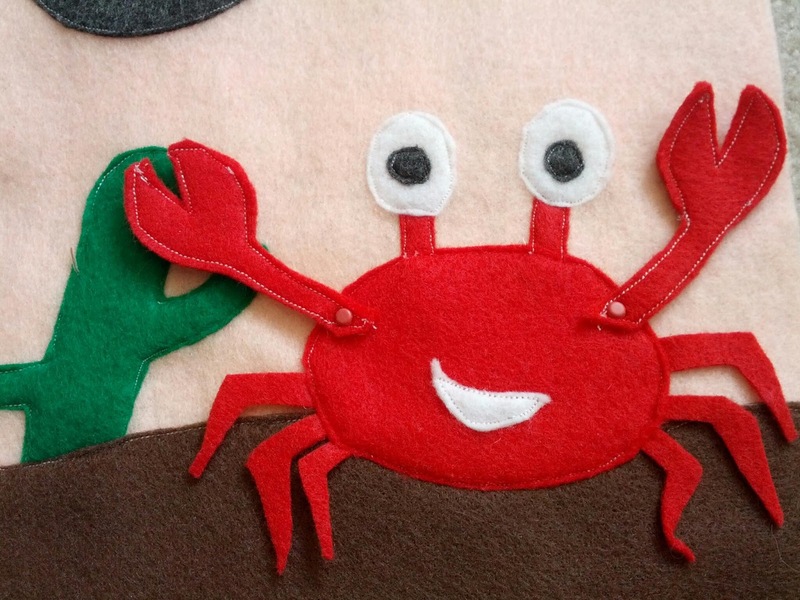 This letter C quiet book idea features a cute crab that moves its arms. 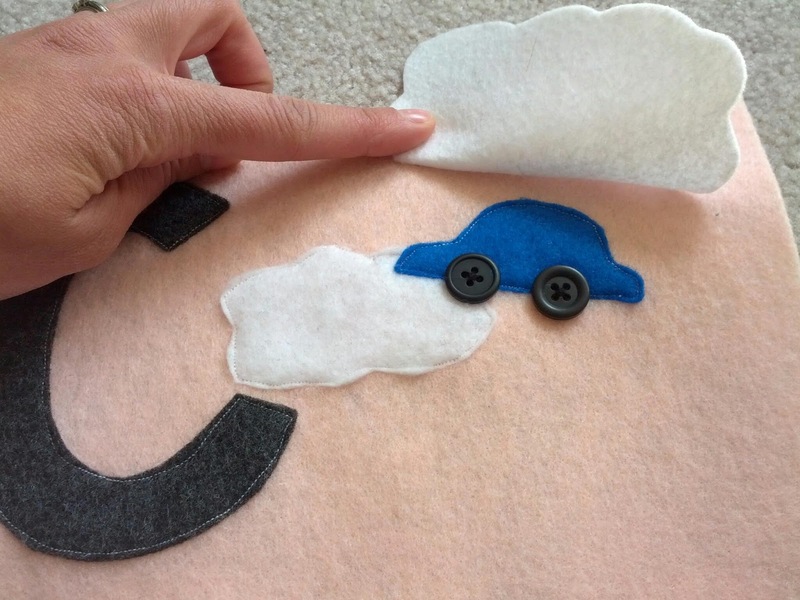 The letter C quiet book page in my new ABC Quiet Book features a crab, a cactus, clouds, and a car hidden behind the clouds. This page is so fun and I love how cute the crab turned out to be! C is for crab, clouds, cactus, and car. 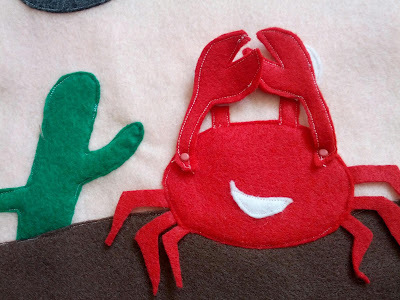 The crab has movable arms, attached with brad fasteners, so it is perfect for playing peek-a-boo with. One of the clouds lifts up to reveal a blue car with button wheels. I really want to make a felt alphabet book with my preschoolers at the beginning of the next school year! Love what you do with each page. :) Thanks for sharing, and I'm featuring this post at Stress-Free Sunday! Thank you. They are a lot of fun to make!